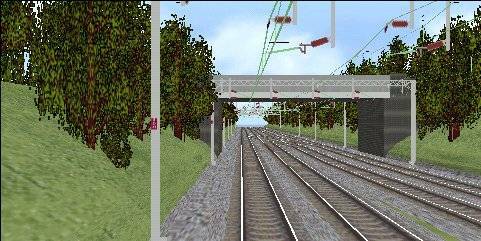 On this page you can find some information and screenshots concerning the Watford Jcn to Milton Keynes BVE route. The route is still under construction. No firm release date yet, as there is still much to do. The project was started on 23/12/2000. 1.Watford Tunnel, complete with photo real portal, and in-tunnel ventilation shafts. 3.Speedometer measuring miles per hour. 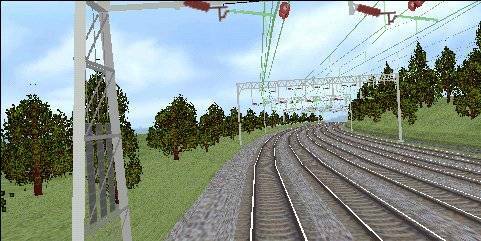 4.Realistic BR Mk1 catenary, with overlaps, transformers, neutral sections etc. 11.Will also include in-cab indications for gradients in UK style. 12.If I have time, I will also include under-bridge sound effects, passing train sound effects etc. Station Construction: Platforms in place, no buildings yet. 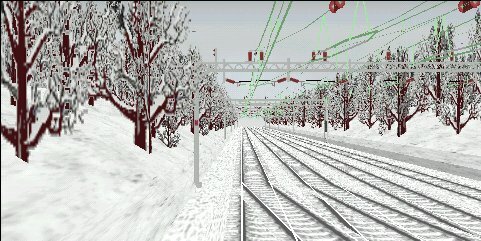 03/01/2001 - High Detail Version - Now added the choice of weather conditions! High Summer sun or Winter snow. 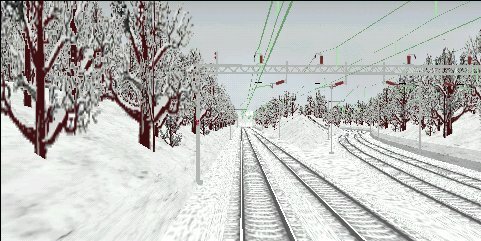 How the diverging slow lines south of Watford Tunnel look in the snow! Approaching the bridge just North of Watford Junction Station. Note the UK style gradient board indicator. 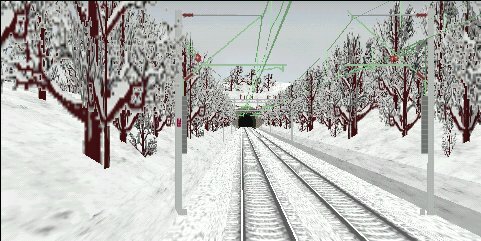 Leaving Watford Tunnel, note the catenary overlap. Passing the Up Goods Loop on the right, between Watford and Kings Langley. 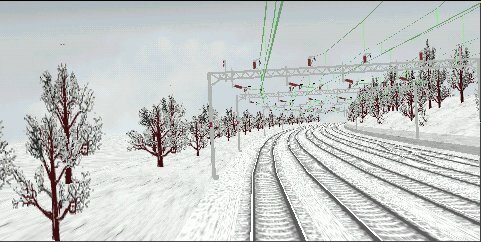 Note the catenary overlap.